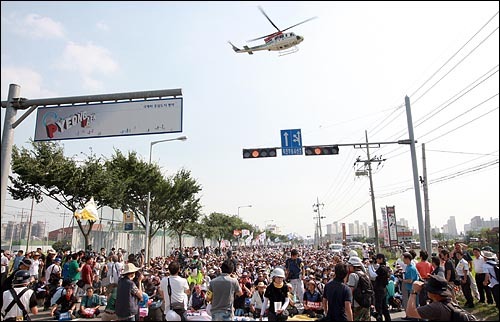 The Korean Confederation of Trade Unions (KCTU) organized a solidarity demonstration in downtown Pyeongtaek in order to demand "humanitarian aid" to the strikers, but the government banned the demo because they claimed the previous rally on July 25 turned "violent." Doctors and other medical workers joined the vigil and decried the heath crisis the police have created in preventing medical treatment or vital supplies from going into the factory. They pointed out combatants in war don't prevent enemies from attending to their wounded. Ssangyong Factory Turning Into "Refugee Camp"
The fired workers, who have occupied the paint shop of a Ssangyong Motor factory for 68 days, are living in dismal conditions as they have been denied food and water for about a week. Visitors to the building, including doctors and medical staff said the situation will turn worse as dozens are already injured and around 10 occupants are suffering from depression. 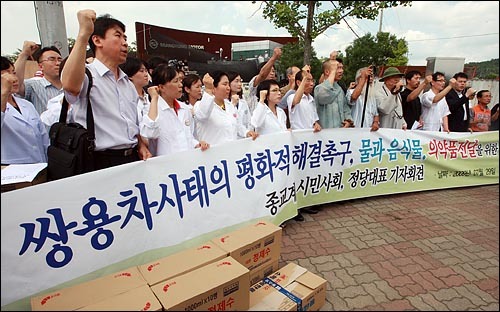 "It's like a refugee camp," said Baek Nam-joon, a member of a humanitarian doctors' association. "Protesters have been living in a hell-like environment." 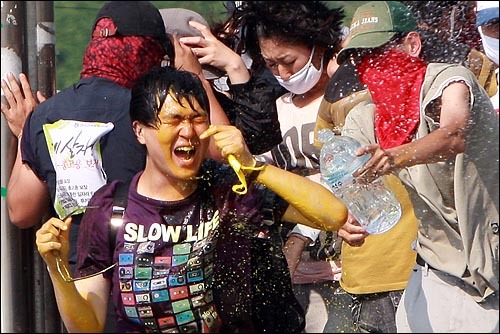 Baek said a sour, acid smell is lingering inside the building following days of tear-gas spraying by police helicopters. "It was hard to breathe," he said. 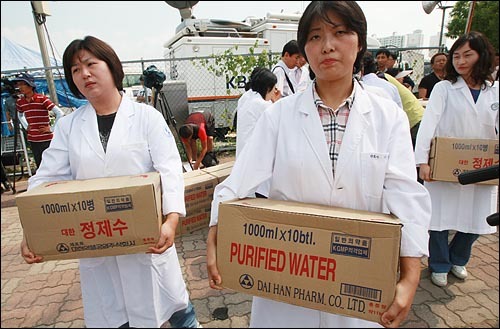 Many of them are exposed to dehydration as drinking water was drying up. Doctors estimated that 200 were injured. "Six of them need an immediate surgery or medical care. Many have severe injuries, including broken ribs or joints incurred during clashes with riot police." According to Baek, they are given one or two rice balls per day. "Toilets are in dismal condition as the water supply has been cut off." Hundreds of protesters have complained of a lack of sleep, he said. 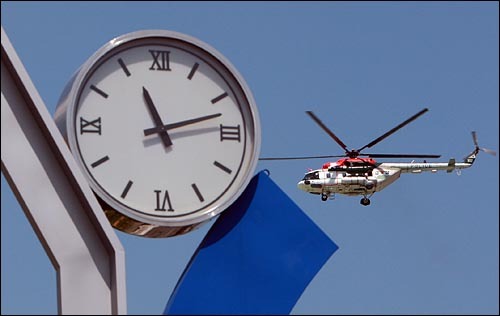 "They sleep just two or three hours a day as police helicopters above the building generate unbearable noise." 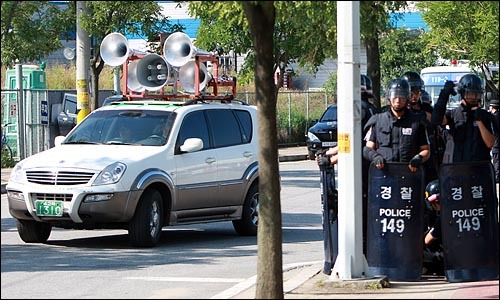 Lee Chang-geun, spokesman for the unionized protesters, said noise from helicopters and speakers installed nearby the building was adding to the terrible conditions. "We have no food, no water and no sleep." The workers are also facing damage suits that could deprive them of all their remaining assets. 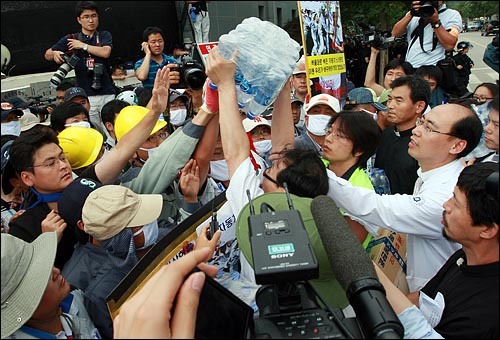 The company said Wednesday it will seek compensation of 5 billion won from the occupants in a damage suit, raising the cumulative amount to 15 billion won. Meanwhile, Ssangyong creditors will submit a petition for early liquidation to the Seoul Central District Court. The court has set Sept. 15 as a deadline for the company's management to submit a self-rescue plan to avoid liquidation. Choi Byeong-hoon, spokesman for the creditors said, "We have reached an accord that liquidating the firm is a better option than waiting until the deadline." The petition will be submitted by Aug. 5. Choi said they will also file a compensation suit against the company, saying the production stoppage inflicted about 89 billion won ($71.7 million) in losses to creditors. Despite the warning, no development has been made in labor-management talks since the first round of negotiations broke down Saturday. The two sides have not moved from their original positions on key issues. The union is demanding the cancellation of the layoffs, while management said it would not begin talks until that demand was dropped. That the workers have a share in the company? Or they will not get compensation for repudiation? Or that their personal property and money could be lost because of the damages they are causing by occupying the factory? Anyway - is anyone here working on some solidarity protests. Any organisations people here are part of? Has anyone thought of the idea of for example informing trade unions in their countries? Any ideas for actions on economic level? Or any other ideas? The following is a message sent on July 27 on the state of the Ssangyong Motor Co. strike, by a worker from a nearby plant deeply involved in supporting the strike. If you wish to contribute to a rank-and-file strike fund, contact me off list. “The struggle at Ssangyong motors continues as follows. 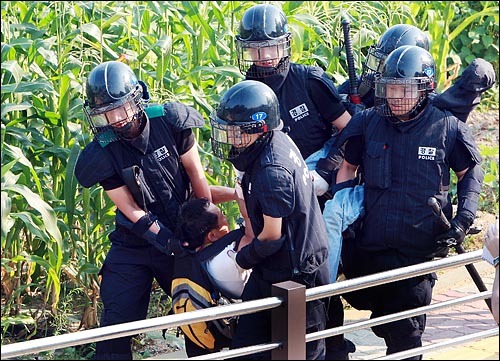 Starting July 20th, with a court order, more than 3,000 riot police, including a ranger unit, tried to seize the plant and ordered workers out of the factory. After the workers rejected this order, they launched an attack against occupying workers for 7 consecutive days, and this attack involved with hired thugs and scabs from workers not laid off. 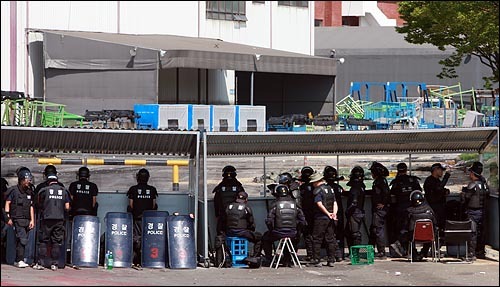 Intermittently, when the riot police are trying to get into the paint plant, they are using a special gun using firing 50,000 volts and nails, while the scabs are using slingshots from the building opposite. Approximately 700 workers are eating a rice ball with salt instead of regular meals and drinking boiled rain. Though many workers have been injured during the fight, they are continuing their struggle resolutely. Jul. 22. 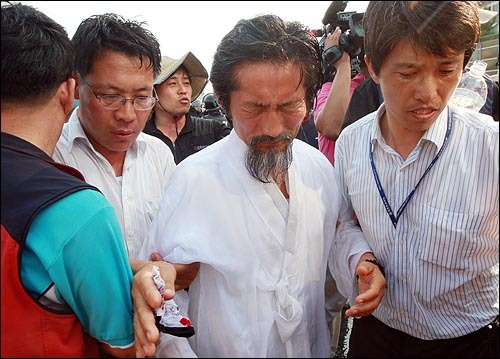 KMWU (Korean Metal Workers Union, which organizes the plant) 4 hour strike. Jul 23. KMWU: 6 hour strike. 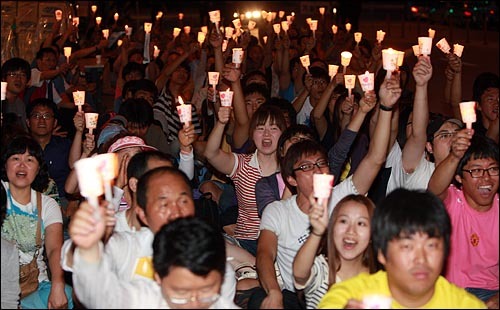 Jul 25 The KCTU (Korean Confederation of Trade Unions) held a rally in front of the Pyeongteck railway station. 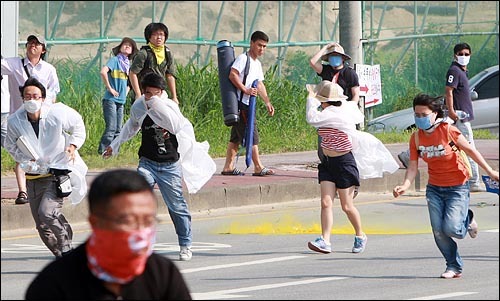 On the 25th, the workers and other participants, armed with iron pipes and stones from the sidewalk, fought against riot police at the end of that rally, while attempting to march to the Ssangyong factory gate. A brutal attack by police forced us to retreat from the front of the factory. Struggles continued late into the night on the streets of Pyeongtaek. We of the KMWU are scheduled to launch a 6 -hour general strike on July 29th but as you know, it is so difficult to mobilize all union members to participate in that strike. Amid growing pressure from some civic organizations, and some congressman, management and the Ssangyong union were scheduled to meet on July 25th. But the management cancelled that meeting unilaterally, for the sole reasons (they claimed) that the workers still throwing bolts and that they can’t accept the union’s demand of no layoffs but with all dismissed workers rotating on unpaid temporary retirement. 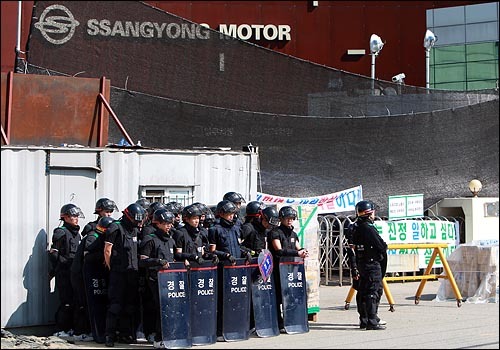 As of today (July 27) the Ssangyong workers held a press conference and another rally in front of the paint plant, escaping for a while the suffocating atmosphere inside the paint plant. 3) Release of the investigation for illegal effluence in the use of hybrid diesel engine technology. “ ….We have been doing our best to solve this dispute with the principle of peaceful settlement with dialogue. 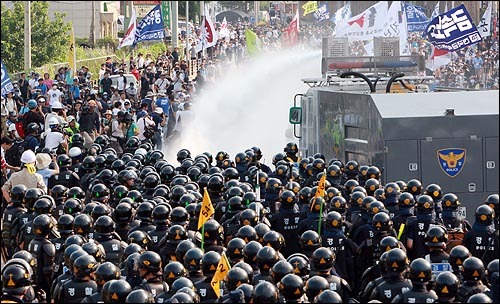 Nevertheless, if this kind of brutal, deadly repression continues, we openly declare our resolute will to fight to the death..
South Korean courts can issue injunctions that not only seize union assets, but individual worker's assets and garnish their wages as well. Last week a woman committed suicide; her husband was a worker who was an official in the union and not laid off. But he went out on strike and occupied the factory in solidarity with the laid off workers. Government and company representatives constantly visited her and harassed her with the threat that the court would seize her home and the family's bank account. She couldn't take it any longer and killed herself. Are the KCTU or other bodies asking for international solidarity? The second they say they need it, people will respond, but we need to know that they are asking for it. 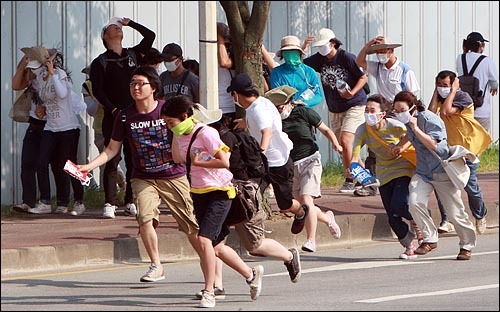 On July 28, 2009, a small group held a demo in front of the South Korean Consulate in San Francisco. Sadly, it was very poorly organized and even more poorly promoted.